2018 has already ushered in a number of mindful conversations and reflective moments which for me an indicates that this will be an amazing year of continued learning and growth. We have had a number of polarizing and engaging conversations via our social media channels, email, and in person. One topic that has been particularly engaging for me as content creator is the conversation around live streaming and recording here at 540WMain. Since a number of classes have been sold out, several of you have reached out to ask me about livestreaming and/or recording events for our Facebook page and website. I’ll admit that the recording, documenting, and photographing of moments is very important for me as a content creator and blogger as much of my work hinges on capturing moments, people, places and events; especially those that happen in or around 540WMain. This love of documentation is exacerbated by my affinity with social media marketing and promotion which has become an important aspect of the work that happens with 540WMain. 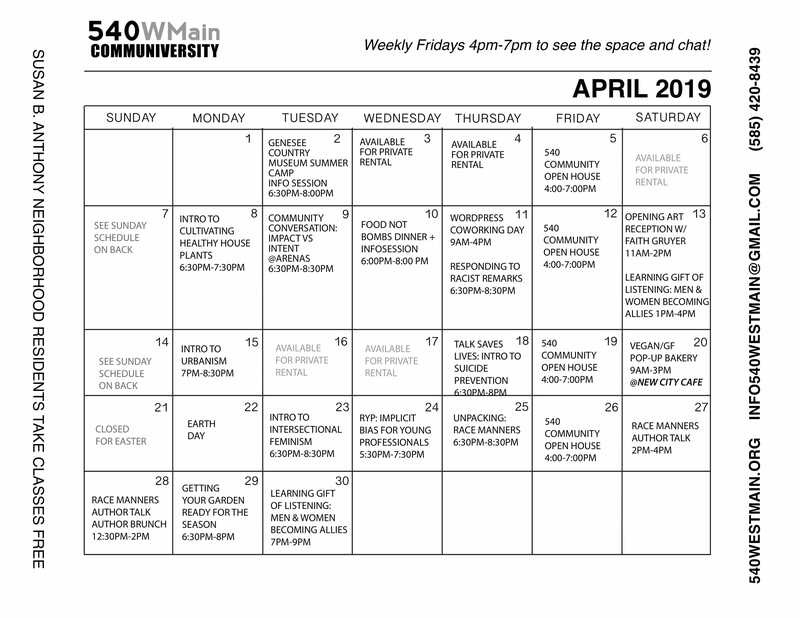 However recent conversations and readings that I’ve done have given me reason to pause and reflect on my incessant desire to take a photo or “go live” for every single moment or event that happens at 540WMain. I’ve come to appreciate that my need/desire to record and capture is very “millennial” and stems from a place of privilege. I am privileged to have a platform for which content and information that I curate/create is looked at by many people in the Rochester community and beyond. I am also privileged to have a background/history which has made me very open with my likeness or surroundings being documented or shared by myself and others. In fact the more I think the more I’ve come to realize that my family has always been into photographs and documenting our lives through pictures and recordings; so this desire and natural inclination to do so as an adult is a direct result of that. We have many many photo albums, binders, and bags of photos and my father even recorded our early years when VHS and recording cameras were all the rage. I say all this to say that I have the privilege of being comfortable with taking and sharing photos and recordings of my life without much thought of any negative or “bad” repercussions. In coming to appreciate these facts, I was stunned by how often I pull out my smart phone and begin to take a photo or “go live on social media” without a second thought to how those in my presence might feel about it. This thought has made me think about our current “selfie” culture at large and how it seems to be the general expectation that everyone wants to be filmed and no one needs to ask permission. I even thought about all the times that I asked people to record them of take their pciture without asking for permission first and how even asking for permission assumes that the act is normal and should be the expectation. I’ve now come to appreciate that this thinking is very cultural and for me is not only privileged but it is selfish and unkind. In addition to these reasons I’ve also wanted to spend more time being present in the moments and connections that I make with the community when they visit 540WMain and not be so caught up in documenting the moment for future marketing or promotional use. What Does This Have to Do With 540WMain? All this said I’ve come to appreciate that not every single event or class needs to be recorded or photographed and more than that, not every event should be recorded and/or photographed. 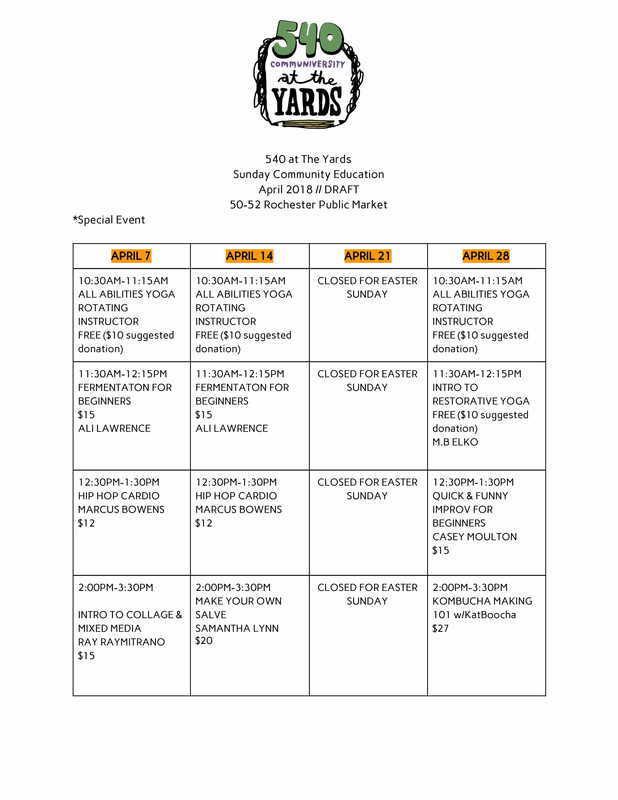 The monthly Community Conversations series have come to represent safe/sacred places of learning, sharing, vulnerability, honesty, and reflection. Folks are coming to these conversations to share deeply personal feelings and make themselves vulnerable with complete strangers in a way that they might not somewhere else. It is my responsibility as a creator to respect this process and not bombard or potentially offend someone with pesky photos or recordings that could potentially put them in a compromising situation some where else in the community. For me, even asking for permission seems to be an invasion and it is for this reason that I’ve decided to create the general policy that Community Conversations specifically will not be recorded or photographed. Any photos taken by myself or others will be of the facilitators only. This way those attending can feel safe and not have their personal right for privacy infringed upon. I am not perfect. Feedback from the community on this new policy or suggestions on to to implement better practice when it comes to public photos and social media sharing would be much appreciated. As a community each of us exist in a larger context and intersect with and within each other. Please share your thoughts below, via email, or on Facebook. Change always starts with conversation. I hear yours always. And I appreciate you.